What makes this family-focused space truly unique is that it includes something for everyone! In addition to providing both takeaway and sit down options as well as traditional table seating conducive for individuals or meet-ups, Play Grounds also offers beautiful window seating, comfy cozy chairs, and a low-level play area that encourages creative and imaginative play for your little ones! Parents and caregivers can enjoy conversation and company, while pint-size patrons can be creative and inspired through unique and engaging options such as a wooden train table, books, art easel, kids'-size table and chairs, kids’ wooden play kitchen, dolls, trucks, and so much more! The beautiful soul behind Play Grounds is owner Heather Tropp Mariano, a resident of Lakewood, who has a heart-filled vision for this new and inviting space. Mrs. Mariano’s desire is that the café help to facilitate and encourage meaningful moments in the midst of our busy days: A place that affords genuine contact and deeper connections for people while also providing a safe and creative space for their little ones. Play Grounds will feature coffee supplied from local Phoenix Coffee for their caffeinated goodness carefully crafted to taste. In addition to the staple coffee, specialty drinks, and a beautiful selection of organic teas, the menu will include a variety of healthy snacks and treats for adults and kiddos alike. The little ones will love the house drink, inspired by a favorite beverage of those native to Australia. This featured drink, called a 'Babyccino', is a delicious cocoa powder-topped beverage served hot with a generous portion of steamed milk, making for a rich, smooth, creamy treat that is sure to keep your children coming back for more. Rounding out the menu will be a variety of nut-free, gluten-free, vegetarian and even vegan options to enjoy alongside traditional favorites. 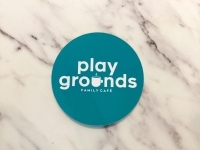 Play Grounds coffee shop will be the newest addition to the Madison Avenue family of local businesses helping to revitalize the area, and Mariano is excited to be contributing directly to advance the initiatives of #madisononthemove. The storefront is located at 15715 Madison Avenue on the south side of the street just east of Hilliard Blvd., catty corner from Wagar Park. 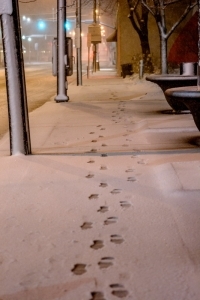 Free Wi-Fi is available for customers along with plenty of free parking in the back lot behind the storefront! Visit www.playgrounds.cafe or www.facebook.com/playgroundscafe/ for further details related to hours of operation, menu, pricing and more! Please stop on in for a visit or grab a cup of Joe to go. 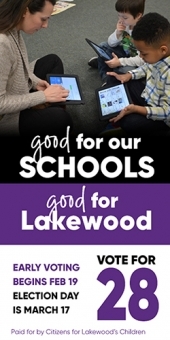 Let’s all show Play Grounds some local love and give them a huge, “Welcome to the neighborhood!” the way only this great city of Lakewood can – Together. As of the publication of this article the estimated time for the official opening of the cafe is the end of October 2017. Please check the website for exact hours of operation. Michael Samulak is a published author of two children's picture books. He and his wife Jamie have five beautiful children together and are invested and work in the Lakewood communtiy. Michael Samulak is a published author of two children's picture books and has close to twenty years of experience teaching, mentoring, and engaging youth both in and outside of the classroom. Mr. Samulak is happily married to his wife Jamie. The couple have five beautiful children together and are invested and work in the Lakewood communtiy.